As you begin the application process for an engineering college, do your research to determine the schools that are the best fit. This task can seem daunting, but it is important to compare colleges beforehand and understand how to know engineering is right for you. In choosing a college, the first thing you should consider is the type of engineering programs available and the requirements needed to gain acceptance into the college. Many colleges require internship experience and students should know how to interview and prepare for an internship role. Below Lauren Willison, Director of Admissions at Florida Polytechnic University discusses how to jumpstart your career in STEM education. Watch the video to find out the details to key benchmarks such as interviewing for an internship to networking. Florida Polytechnic University, located in Lakeland, is the newest public university in Florida. It also is the only public university in Florida dedicated to science, technology, engineering and math (STEM). If you are looking for a university where you have the opportunity to imagine, invent and collaborate as you work on high-tech solutions, Florida Poly is for you. With 11 innovation labs and 26 classrooms, students gain hands-on learning experience and real-world interaction to prepare them for future employment opportunities. With a low student-to-faculty ratio, the expertise and experience of Florida Poly’s faculty members are accessible to each student on an individual basis. 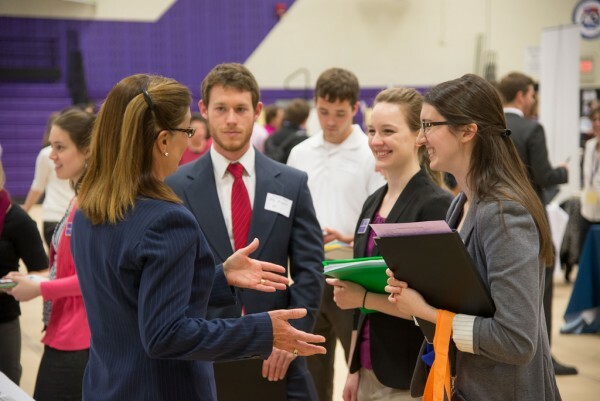 The University also helps students connect their academic experience to their career path through Career Services. The ultra-modern Innovation, Science & Technology Building, the campus hub for learning and activities, was designed by famed architect Dr. Santiago Calatrava, who also designed the new World Trade Center transit hub. In addition, the campus residence halls and recreation facilities offer plenty of activities that extend learning beyond the classroom. There is a fitness room and dining services in the Wellness Center. Florida Poly, which is in its second year of classes, has a growing number of student organizations and many leadership opportunities for students – something you may not find easily at larger institutions. 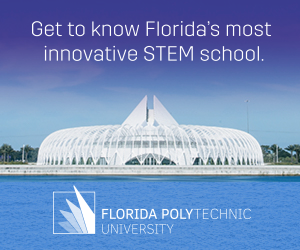 If you are interested in more information about Florida Poly, please visit our Academics page.